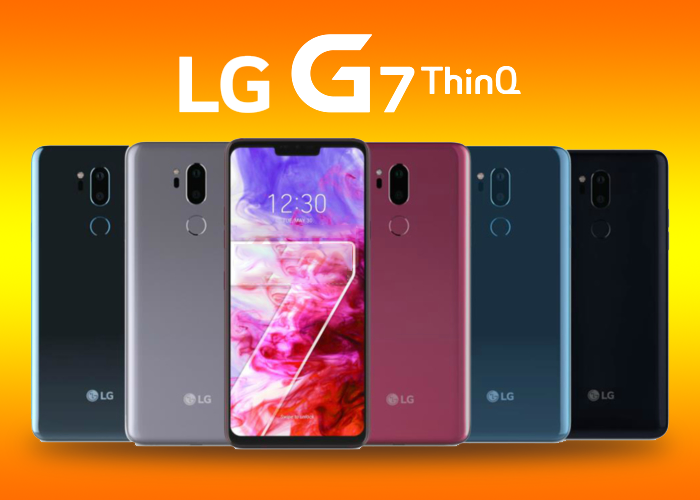 Almost all the companies have launched their flagship smartphone carrying the infinity display which was followed the launch of Samsung S8 and iPhone X. LG is next in the list as they are coming up with all new G7 ThinQ which will launch in Manhattan, New York, on 2nd of May this year. The most talkative point is the involvement of Ai integration which is a feature seen in LG V30S ThinQ and a dedicated key for calling up your Google assistant. Just like the iPhone X, G& will also have a notch at the top of the screen but the best part is that you will be able to hide it with the help of a software. As the release date has already been announced by the company which is 2nd of May in New York followed by 3rd of May in Korea. As per the reports, the company will hold the actual sale of the smartphone in the market as they want to be completely satisfied with the performance and durability. As per the experts, the all-new G7 will be available after August in the market. There is no official statement by the company in terms of the pricing but looking at the features and specification, the smartphone will cost around 649 pounds which is quite like the range of LG G6 which was released earlier. It is also believed that the prices will go down in the following months which should be the best time to buy the smartphone if you are looking to buy one. • IP68 waterproofing protection will help you carry your smartphone in rain or if you want to click the pictures in your pool. • Wireless charging which is common nowadays but is an add-on for the smartphone. • 3000mAh battery which is less compared to other smartphones but is also dependent on the optimization. Key new features offered by the Snapdragon 845 include a secure processing unit (SPU) that Qualcomm says offers “vault-like security” with the microprocessor, memory, crypto engine and random number generator all sitting on its own power island. The eyebrows were raised with the 3000mAh battery, but it is believed that the performance and the battery life will improve due to the octa-core Kyro 385 CPU with four 2.8GHz high-power cores and four 1.8GHz low power cores. A per the reports, the all-new 845 processor is 30 percent more efficient than the older version 835 which will improve the battery life even hours of gaming, videos, and other programs like AR or VR. There are many other companies which are already in the market with quite similar features and specification smartphones but still, it is an open race where Apple and Samsung are leading it with miles. There are many of us who are waiting for the launch date and in coming months we will come to know about the actual performance of all new G& ThinQ.